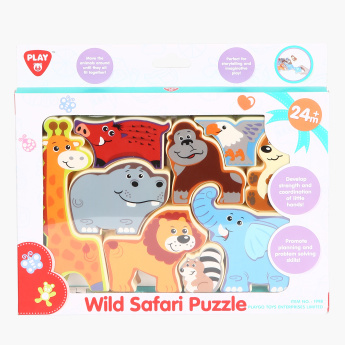 Playgo Wildlife Safari Puzzle | Multicolour | Includes cut out of various animals that have to be placed in the right shape. Promote planning, organization and problem-solving skills in your child by getting this puzzle. 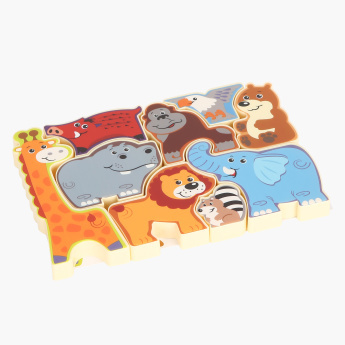 This puzzle includes cut-out of different animals that need to be placed in the right shape. A perfect toy for your kid’s early development, this makes a wonderful gift. 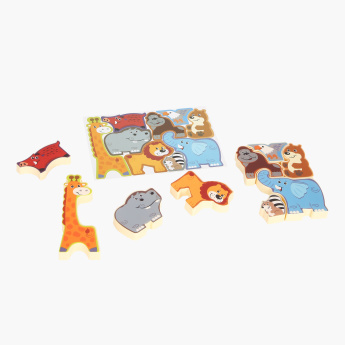 Feature 1 : Includes cut out of various animals that have to be placed in the right shape.